Have you visited our Upper West Side, Columbus Avenue store lately? 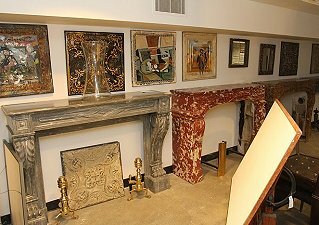 We recently acquired the entire collection of antique French and American marble and wood mantels from Danny Alessandro & Edwin Jackson, Ltd – specialists in fine mantelpieces for over 100 years. 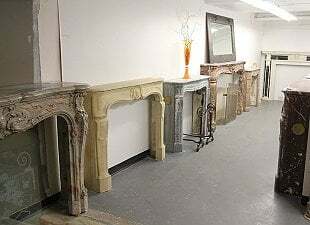 Many of these mantels are now on display at our NY Stores. 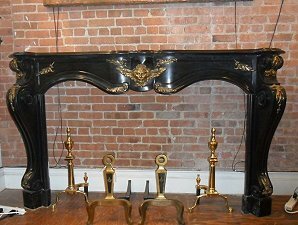 We have chosen this fine Belgium black marble mantel with gilded bronze Hercules face and acanthus leaf detail as our mantel of the week for our blog readers! It is on display right in the front of our 450 Columbus Avenue location. 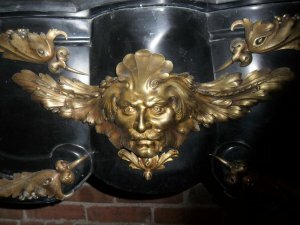 This choice is over 100 years old – in excellent overall condition – and the applied bronze detail has a rich patina. Only $30,000. Come take a look at this piece and many other fine possibilities for your next marble mantel.